American River College is planning to celebrate the expansion of the Student Services building with a ribbon cutting ceremony on Thursday from 2-3 p.m. The west side of the building underwent a 14-month, 5,500-square-feet remodel that went from April 2014 to summer 2015. On behalf Greene and the rest of the ARC administration, Communications and Public Information Officer Scott Crow said that the school is “very pleased” with the expanded facility. Crow also said that the ribbon cutting ceremony will be a good chance for students to see all the changes that have been made. 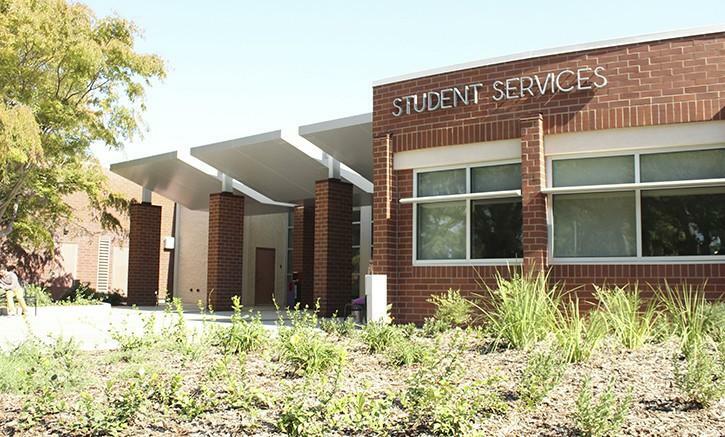 The Assessment Center, CalWORKs, the Career Center, Disabled Students Programs and Services (DSPS), EOP&S, and Financial Aid are all a part of the building, with the Veterans Resource Center set to move in during the Spring semester. Be the first to comment on "ARC celebrates Student Services addition with ribbon cutting"